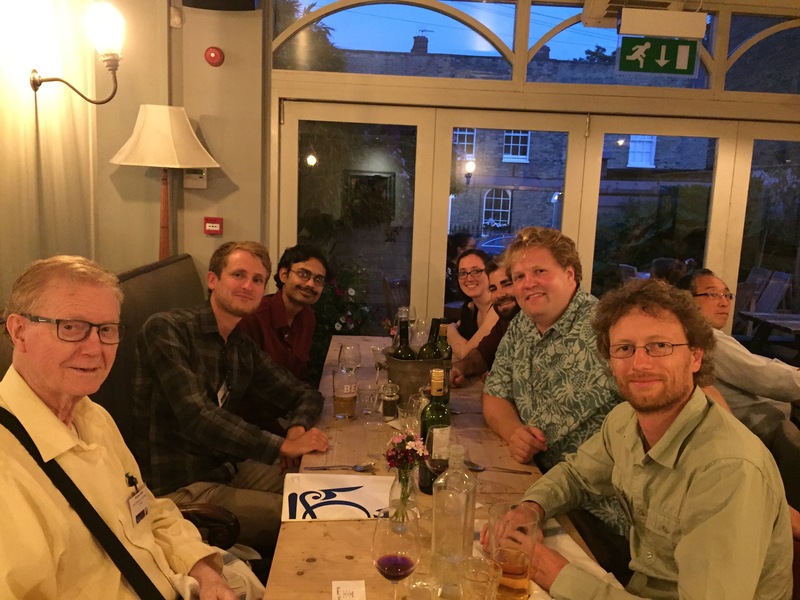 The DDA is very grateful to the LOC, including Craig Agnor, Carl Murray, Apostolos Christou and Alice Monet, as well as numerous other QMUL staff and students who helped make the meeting a success. 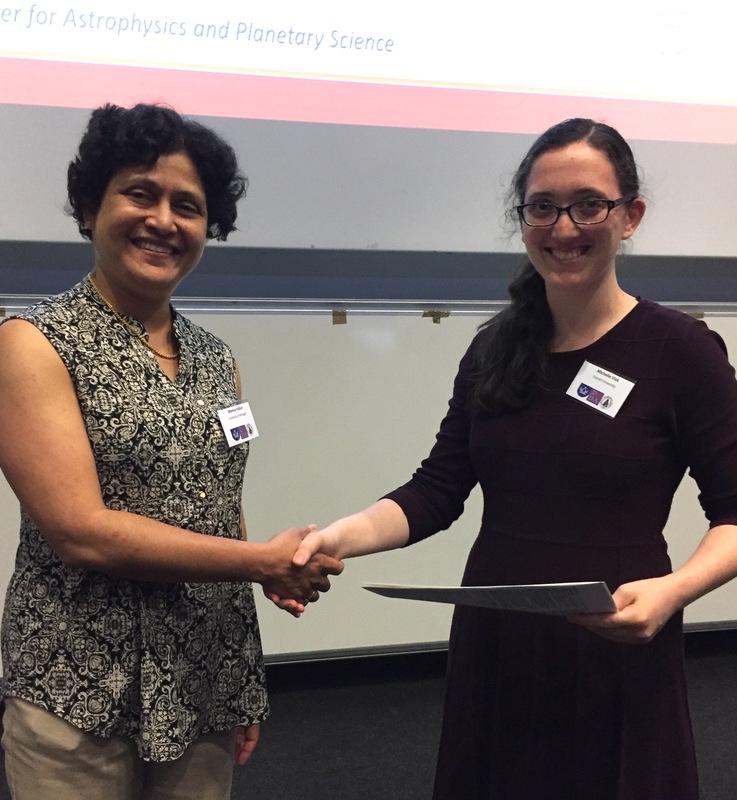 We are also grateful to the Royal Astronomical Society for financial assistance that made it possible to support several Early Career scientists and to the Cambridge University Press for providing book prizes to this year's Duncombe Prize winners. 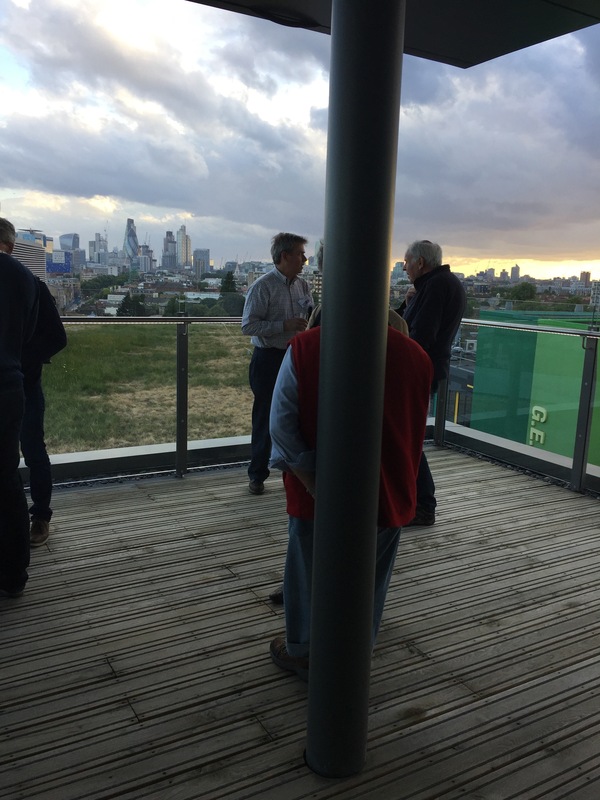 The meeting began on Sunday evening with a welcome reception held on the roof of the QMUL Graduate Center, which afforded spectacular views of the London skyline. 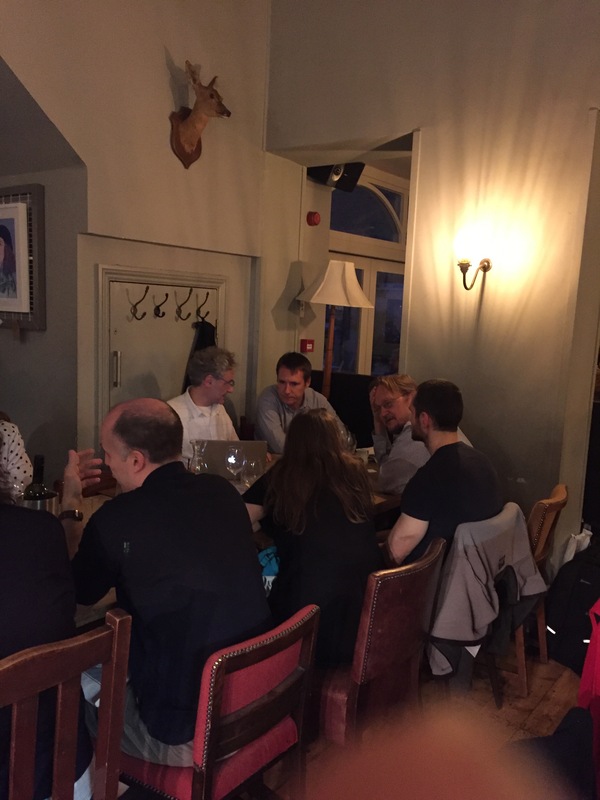 The conference dinner on Wednesday evening was held at the Morgan Arms, a local gastropub. A summary of the business meeting is available below. 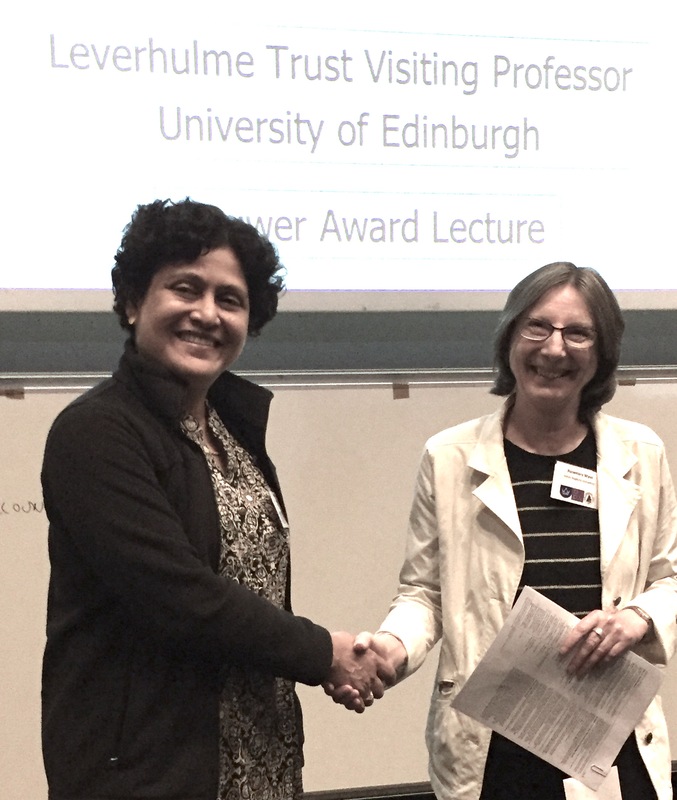 There were ten invited talks (5 men and 5 women) in addition to the Brouwer Award lecture given by Professor Rosemary Wyse. 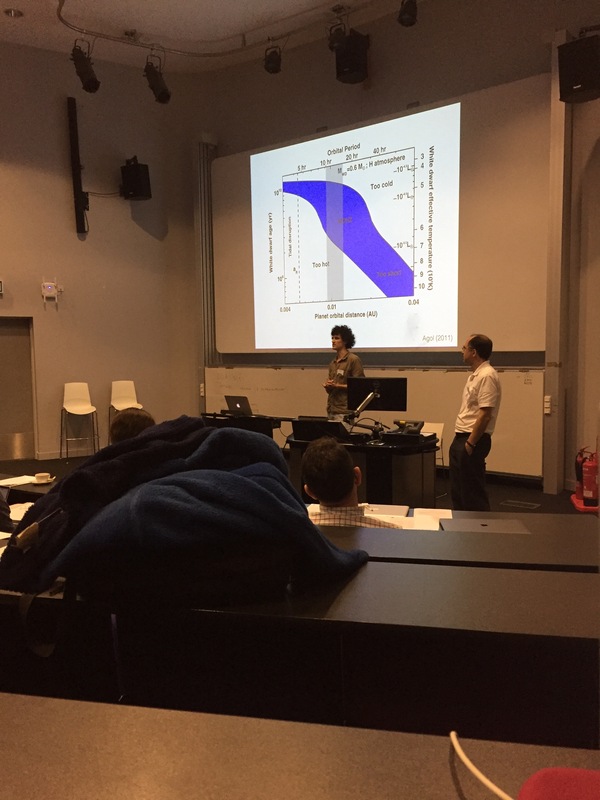 This meeting featured three special topical sessions highlighting dynamics across a wide spectrum of fields. In addition to the invited speakers listed below each special session included between 3-7 additional speakers making for very rich and exciting topical sessions. The session "Post Main Sequence Planetary System Science" was organized by Dimitri Veras (University of Warwick) and featured invited speakers Amy Bonsor (University of Cambridge), Alexander Mustill (Lunds Universitet) and Matthew Payne (Harvard Smithsonian CfA). The second day featured the special session "Impact of Gaia Astrometry on Dynamical Astronomy" organized by Norbert Zacharias (USNO) with invited speakers Daniel Hestroffer (Paris Observatory), Todd Henry (RECONS, Georgia State U), and Laura Watkins (Space Telescope Science Institute). 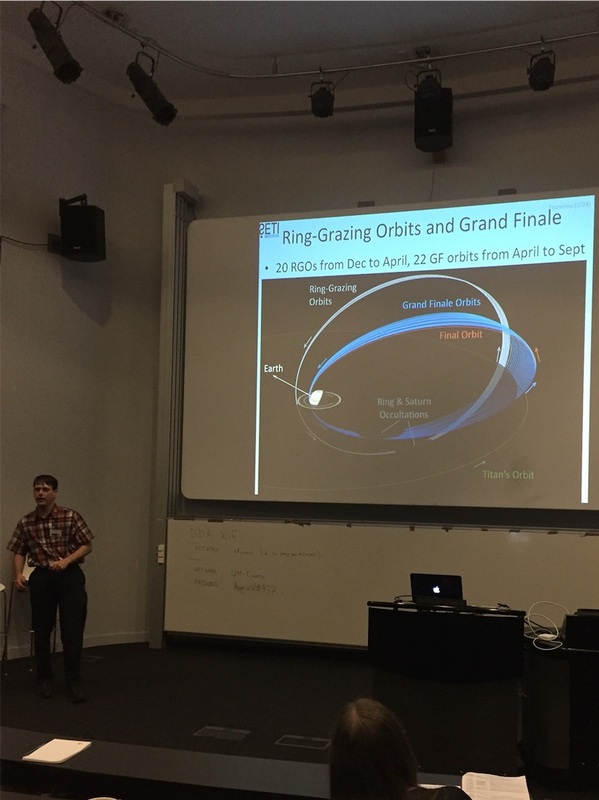 The third special session, "Cassini Ring-Grazing Orbits and Grand Finale", was organized by Matthew Tiscareno (SETI) and included invited speakers Maryame El Moutamid (Cornell University), Pierre-Yves Longaretti (IPAG), and Linda Spilker (JPL). Michele Bannister (Queen's University Belfast) gave an invited talk on "Fantastic Icy Worlds and Where to Find Them" in the Kuiper Belt and Planet Nine session. Following the meeting, on Thursday evening Rosemary Wyse gave a public lecture and was honored by the faculty and staff of QMUL. It had been 40 years to the week since Wyse received her Bachelors degree in Physics from QMUL. Awards review committee was constituted in August 2016 and charged with evaluating and improving the awards selection process. Curtis Struck (chair) submitted the committee's report in November 2016. Instituted stricter rules regarding conflicts of interest for award selection committee members. Self-nominations for all awards are now allowed. Future nominations will be submitted via the division website. Detailed summary of the report is available in the Winter 2017 DDA Dispatch. 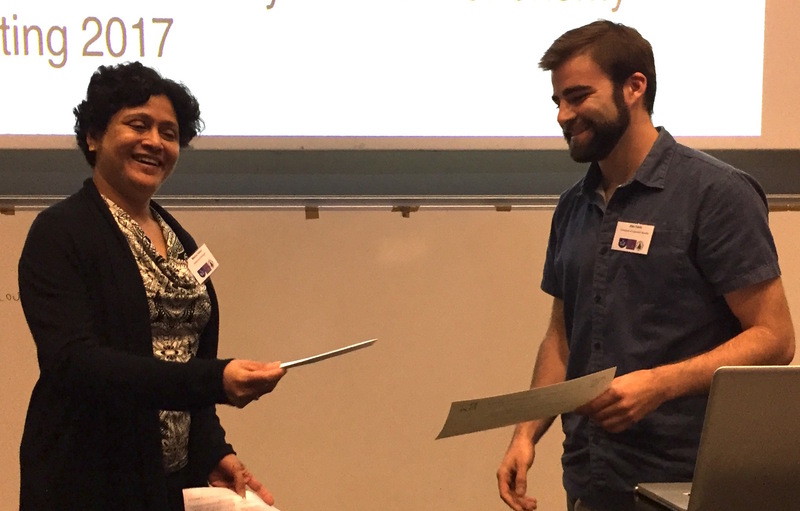 Valluri thanked the committee comprising Curtis Struck, Man Hoi Lee, Renu Malhotra, Dimitri Veras and Rachel Kuzio de Naray. Created new Early Career Prize, named in honor of Vera Rubin. First selection committee comprised Scott Kenyon (chair), Renu Malhotra, Susan Stewart, Matthew Hedman and Luke Dones (ex-officio). There were 11 nominations, of which 6 were women. The DDA's new website was launched in the fall of 2016. Members are encouraged to send images relating to dynamical astronomy to Monica Valluri for the slideshow on the top page. 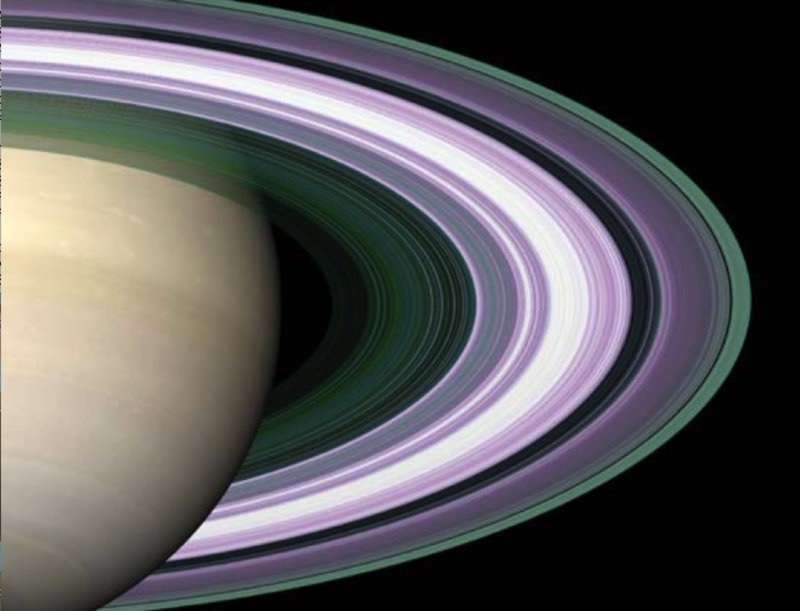 Currently the images on the site are stock astronomy images. Created Budget Review Subcommittee – add to Brouwer Award Fund; create funds for other prizes; create dependent care and travel funds to attend DDA meetings. Create newsletter committee – for producing DDA Dispatch for regular communications with members. Minor changes to nominations process – in future we will invite DDA members to volunteer for elected positions and committees to ensure that anyone wishing to serve the Division is able to do so. Announcement of the Brouwer Award: Prof. Dr. Ortwin Gerhard, Max-Planck-Institut für extraterrestrische Physik, is awarded the 2017 award. Announcement of the Rubin Prize: Prof. Daniel Fabrycky, University of Chicago, is awarded the inaugural award. Seth Jacobson announced a proposal from University of Colorado (CU) Boulder to host the 2019 DDA Meeting. The LOC will comprise of Jay McMahon (Chair), Daniel Scheeres and others (TBD). Monica thanked retiring officers and committee chairs. Phil Nicholson suggests looking at the attendence statistics of non-US DDA meetings to evaluate how they compare with US-based DDA meetings. Craig Agnor reports we have attendees from 6 continents and 13 countries. Number of attendees: 83. 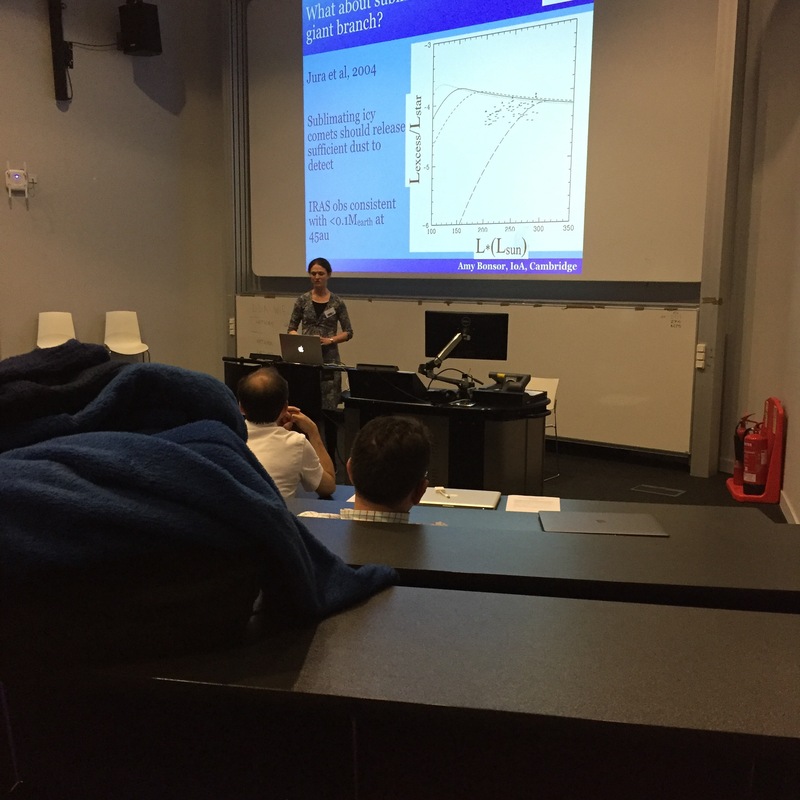 Bonnie Steves (Glasgow Caldonian University) announced that she and the IAU have been holding annual Summer Schools in Celestial Mechanics (for anyone interested in this and related topics). She wonders if the DDA would like to participate and perhaps co-host a future meeting in Scotland in conjunction with a future international DDA meeting. Rosemary Wyse (Johns Hopkins University and Leverhulme Professor, University of Edinburgh), recipient of the 2016 Brouwer Award, gave an excellent lecture: "The Cosmological Context of the Milky Way Galaxy", a tour de force providing an overview of our understanding of structure, dynamics and formation history of the Milky Way in the context of Lambda-CDM cosmology and addressing challenges to the standard model. Michele Bannister, a postdoc at Queen's University Belfast, gave an exciting invited talk "Fantastic Icy Worlds and Where to Find Them" (hint: outer Solar System). She gave an overview of the dynamical history of bodies beyond Neptune and presented new results from the Outer Solar System Origins Survey. Are the clusterings in orbital elements of trans-Neptunian objects due to observational bias? Is the perihelion gap real? She encouraged us all to use their survey simulator! Elizabeth Bailey, a graduate student at Caltech, presented new work on "The Role of Resonances in the Search for Planet Nine". She showed that high-order mean motion resonances (MMRs) successfully trap Kuiper Belt Objects, and the probability of detecting a population in low-order MMRs is very low. She furthermore showed that stable resonances become increasingly more difficult for large Planet 9 eccentricities. 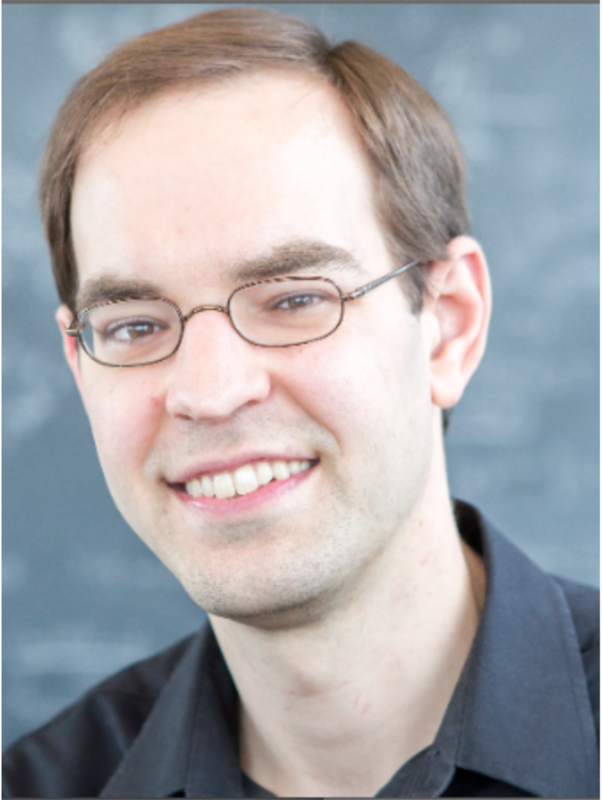 The Division on Dynamical Astronomy awards the first Vera Rubin Early Career Award to Daniel Fabrycky of the University of Chicago for elegant applications of dynamical astronomy to fundamental puzzles in the physical and orbital properties of binary stars and extrasolar planets. More details are available on the DDA Website . Each year the DDA awards up to three prizes to students, to help defray the cost of attending the DDA Annual Meeting. In addition to a monetary award, meeting registration and banquet fees are waived for award winners who also give an oral presentation. These are made in memory of Ray Duncombe, one of the founding members of the division and its first Chairman, in recognition of his many significant contributions to the field of dynamical astronomy, and his hearty support of the division he helped to create. Ray Duncombe was, throughout his career, extremely interested in and supportive of students in the field of dynamical astronomy. This year Cambridge University Press also donated a book of their choice to each of the three winners. Three Duncombe Prizes were awarded at the meeting in London. 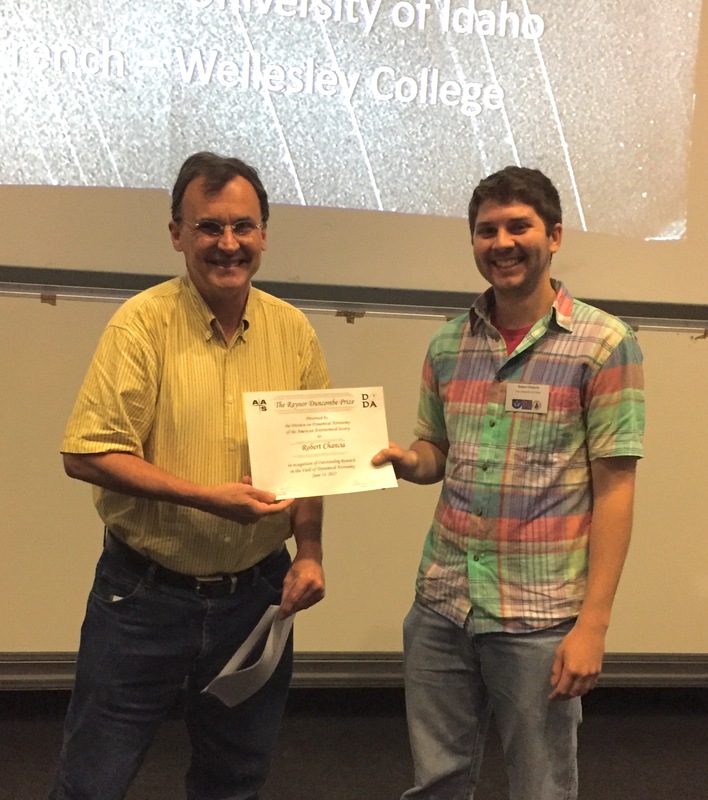 Alex Davis (University of Colorado, Boulder) (left), a graduate student working with Prof. Daniel Scheeres, spoke about his research "Constraining Binary Asteroid Mass Distributions Based On Mutual Dynamics". Michelle Vick (Cornell University) (middle), a graduate student working with Prof. Dong Lai, discussed her work on "Dynamical Tides in Highly Eccentric Binaries: Chaos, Dissipation and Quasi-Steady State". Robert Chancia (University of Idaho) (right), a graduate student working with Prof. Matthew Hedman, described his work on Weighing Uranus' moon Cressida with the η ring. DDA Member survey regarding international meetings: In order to assess how the membership views DDA meetings held at international locations, a short survey was sent to the entire DDA membership on this subject. 70 people answered the survey. Of those 70, 18 attended the London meeting and 52 did not. Cost and health reasons were cited most often as reasons for not attending this year. Most who did attend thought this year's meeting was similar to, or better than, a typical DDA meeting. The most popular choices for the frequency of international meetings was once every 3 to 5 years, although responses ranged from "every year" to "never". (The DDA has had international meetings in 2004, 2006, 2013, and 2017.) Of the past eight DDA meetings, including this year's, almost half the respondents had attended either none (19 of 67 who answered this question) or only one (13 of 67) of them. Two people attended all eight. 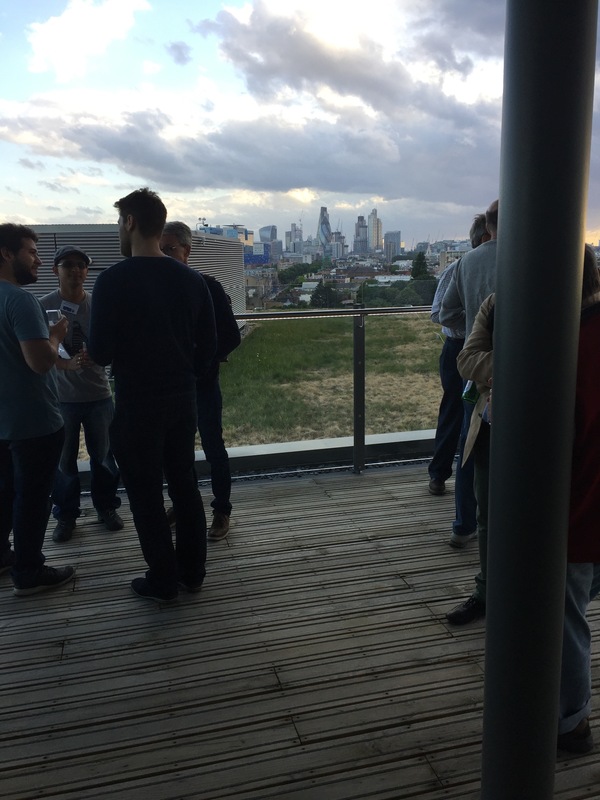 DDA London Meeting exit survey: Following the June 2017 DDA meeting in London an exit survey was sent to all 83 attendees, nearly half of whom were members of the Royal Astronomical Society, the meeting co-sponsor. 37 of the attendees filled out the survey. The respondents were almost evenly split between grad student/postdoc/early career (54%) and middle career/late career/retired (46%). This was the first DDA meeting for 54% of the respondents. Overall, respondents seemed happy with the London DDA meeting. The most common suggestion was to have more talks on galactic or stellar dynamics, although one person who said that remarked that the emphasis on planetary dynamics probably reflected the fields of the participants. Indeed, the top two primary research areas of those who completed the survey were solar system dynamics (65%) and exoplanet dynamics (19%), followed by Milky Way/Local Group dynamics including star clusters (16%). 89% of respondents were "very satisfied" or "satisfied" with the special sessions and thought the number of special sessions should stay about the same (there were 3 this year). No one reported issues with accessibility or problems with harassment. One respondent suggested that we should "Provide some mechanism to encourage communication between scientists who do not know each other. For instance, organized lunches with randomized seating assignments". Future award nominations will be via on-line forms: Starting in the 2018 -19 cycle nominations for all awards will be accepted via new on-line webforms. There are separate forms for nomination materials for the Brouwer Award , the Rubin Prize , and the Duncombe Student Awards . Initiatives & Plans for 2017-18: A new Budget Review sub-committee has been constituted to address the budget surplus. This committee comprises Alice Monet (Treasurer), Seth Jacobson (Vice Chair elect), Daniel Tamayo (committee member), and Joe Spitale (committee member). The charge to this committee is to evaluate budget priorities and determine long term fiscal goals including (but not restricted to) adding to the Brouwer Award fund, creating a Rubin prize fund and a Duncombe prize fund; ensuring that dependent care is supported for participants at DDA meetings; enabling DDA members in need to avail of a travel fund to attend DDA meetings; and any other considerations that may arise. Members are encouraged to email or talk to one of the sub-committee members with any suggestions/concerns. DDA Webmaster Required: We invite self-nominations/volunteers for the post of DDA webmaster. A new DDA website (hosted by AAS) is created under the Drupal Content Management System and is much easier to update/maintain than previous website management software. Treasurer Alice Monet has been doing an amazing job of managing our current webpage and is looking to pass the torch to someone else. If you are interested/willing to help please contact the DDA Secretary at dda.secretary@aas.com . DDA Secretary email: We finally migrated all the DDA email messages onto the AAS website. So the email address dda.secretary@aas.org  is now active. If you use the old Gmail address it will forward to the right place for the foreseeable future. 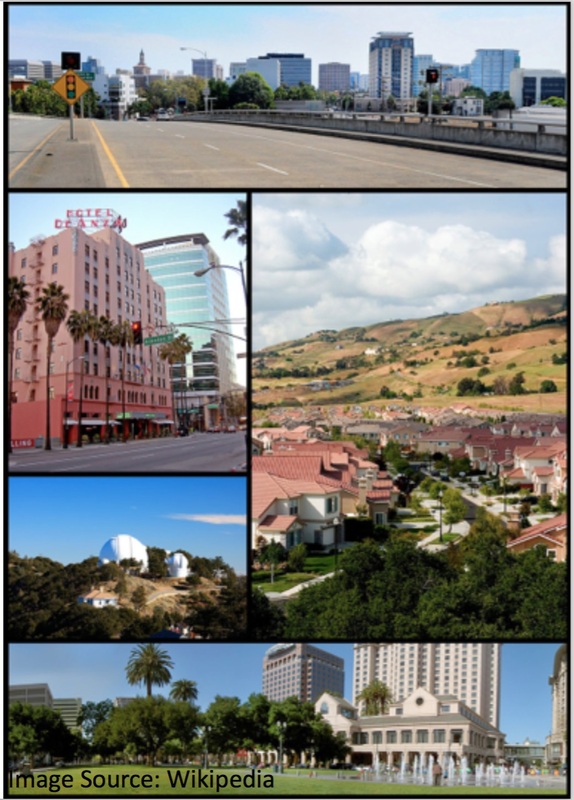 The annual meeting of the DDA will be held in San Jose California, April 15-19, 2018. 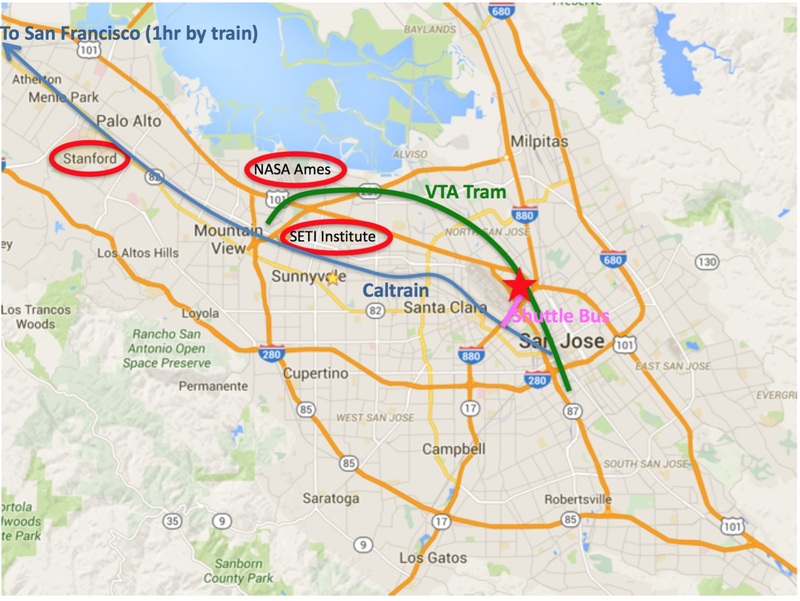 San Jose is “the capital of Silicon Valley”. Located at the south end of San Francisco Bay it is close to San Francisco & the California Wine Country. 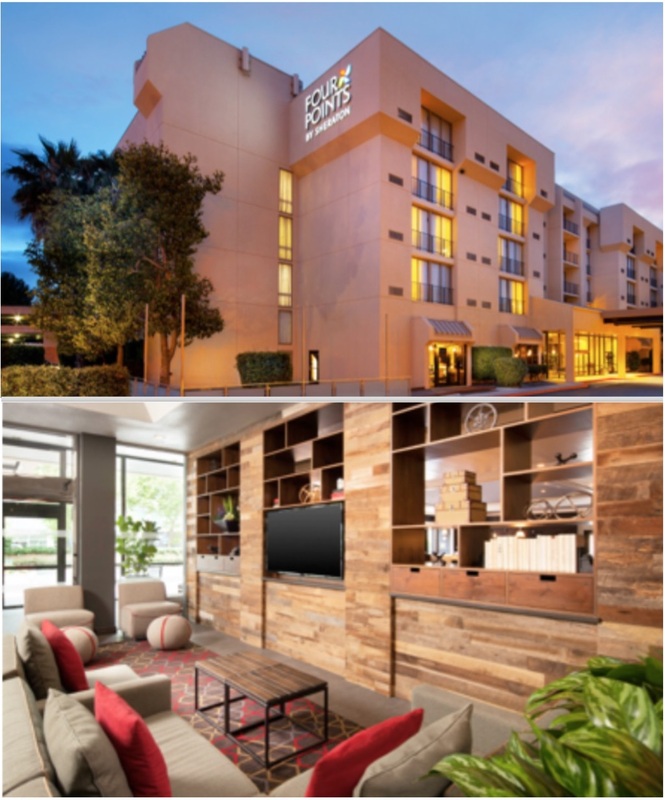 With gorgeous weather and beautiful natural scenery, all the advantages of being at the heart of the tech industry and proximity to numerous premier scientific institutions, the location promises to offer the usual variety of options for DDA meeting attendees. The Local Organizing Committee comprises: Matija Ćuk (SETI, Chair), Matthew Tiscareno (SETI, Co-Chair), Jack Lissauer (NASA Ames), Ruth Murray-Clay (UC Santa Cruz), and Alice Monet (DDA Treasurer). Volunteers are needed! Anyone from the area who wishes to participate in organizing this meeting is urged to contact the LOC Co-chairs. Stay tuned for more details.